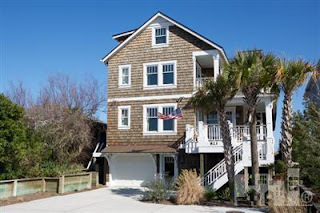 Hardee Hunt and Williams is excited to feature this Wrightville Beach property listing. A three-story, single family home on South Lumina Avenue, this beautiful Wrightsville Beach property is oceanfront with gorgeous views from second and third story decks. In addition to the location and views, the 823 South Lumina Ave. property boasts an architectural design with high performance exterior materials including fire retardant cedar siding, a copper roof system to protect from high winds, and high impact Anderson windows. The interior of the home features old growth wide plank pine floors and real wood wainscoting as well as re-claimed and all real wood doors. Down to the details, this home is masterful - designed to reflect the southern charm, oceanviews, and timelessness of it's surroundings. The rooms at 823 South Lumina Ave. are just dreamy. The master suite is ocean-facing with plenty of windows to take in the scenery. The kitchen is a dream-come-true for any cook (or aspiring cook!) 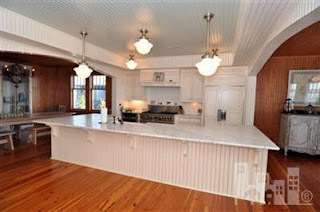 with white marble countertops and premium stainless appliances. The lucky residents can enjoy a built-in sound system, wi-fi boosters, and custom closets. We understand that Wrightsville Beach can be a busy place but this home is located at the quiet south end of the island. It has ample storage space and parking as well as an elevator. To help you enjoy the oceanfront Wrightsville Beach location, 823 South Lumina Ave. has outdoor showers, a screened-in porch, a hose bib on each deck, and all epay decking. 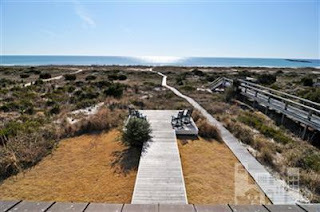 This featured Wrightsville Beach property is currently listed at $4,250,000. If you are interested in more information or would like to view this Wrightsville Beach property please give us a call at 910-256-6998.